Made from high quality recycled bike tires, each belt is one of a kind, carrying with it its own street history. Durable and environmentally friendly they make for great birthday, christmas or chanuka presents. 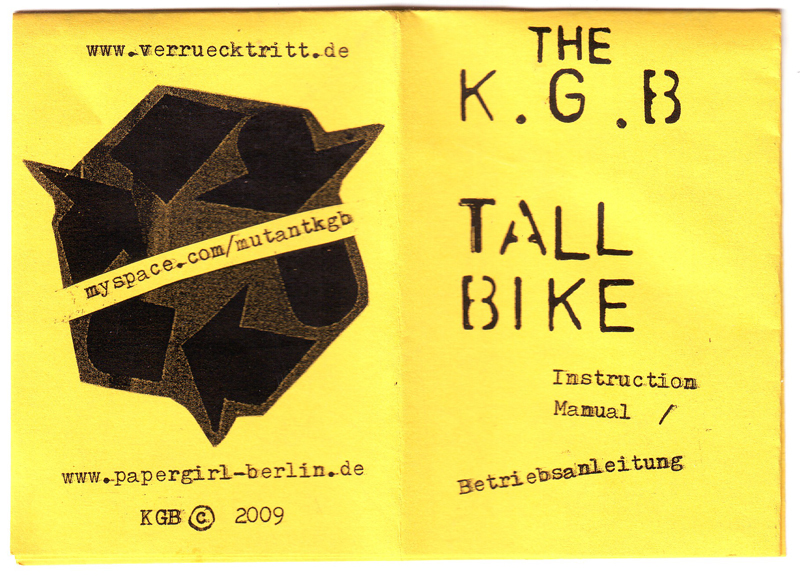 With the foundation of the KGB Mutant-Bike Gang Berlin in 2006 Verrücktritt expanded its bicycle repertoire into the unlimited realm of mutant bike building. 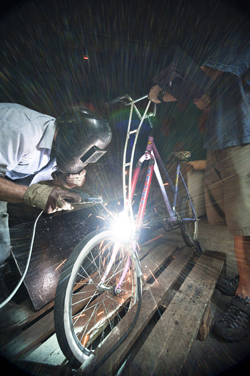 Chopped, flexed and welded these recycled creations breathe new life into unwanted or abandoned bikes. 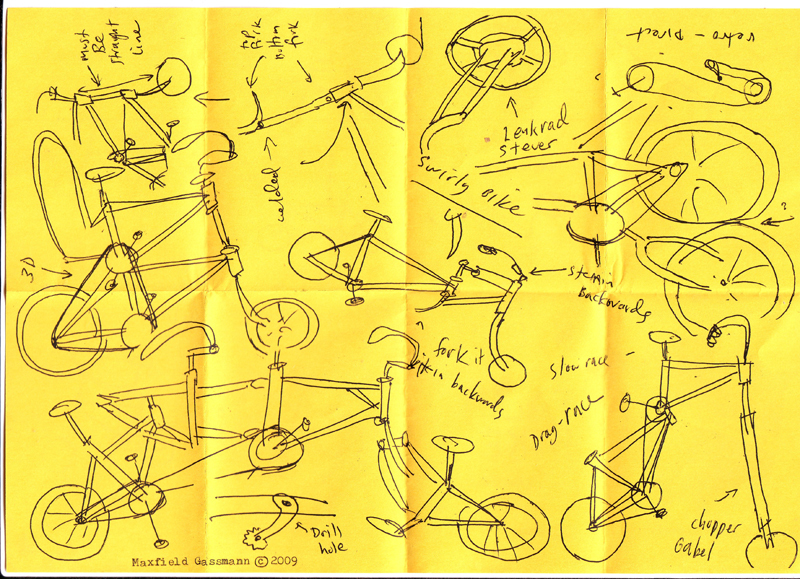 These bikes are not for sale, but contact us for information about upcoming events or – if you want – help creating your own personal mutant creations. 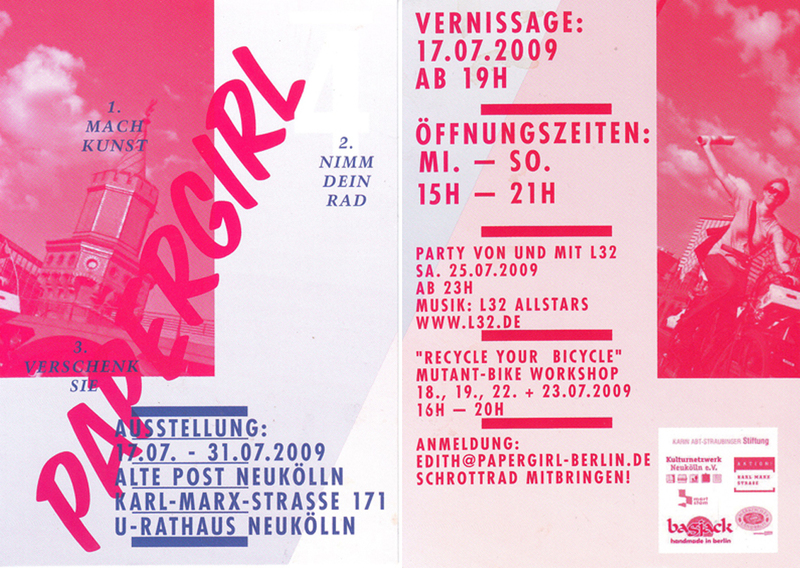 Papergirl-Berlin and Verrücktritt team up in July 2009 for the first annual mutant-bike building workshop held at the old Neuköllner Postamt. Special thanks to Aisha Ronniger and Henry from the Postamt. 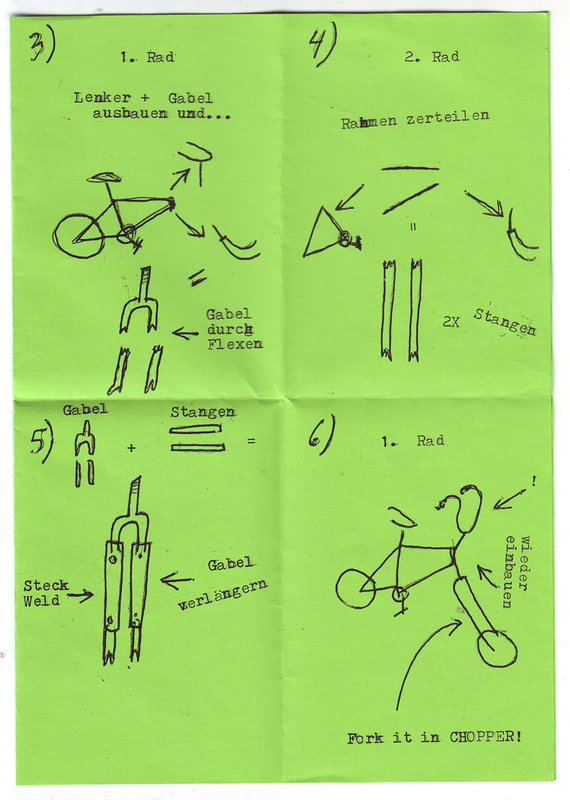 Check out flickr for more photos of the workshop and Ausstellung. 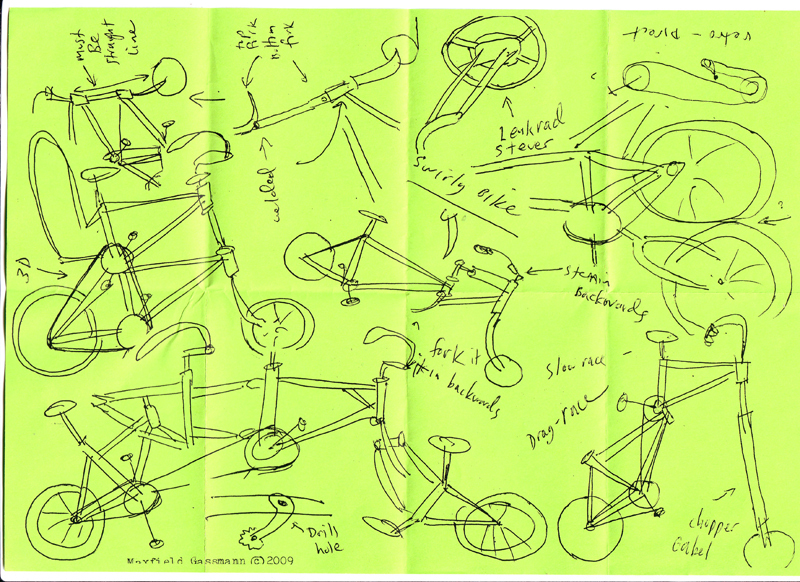 In July 2010 Papergirl and Verrücktritt team up for a second time to host the Mutant-Bike building workshop. 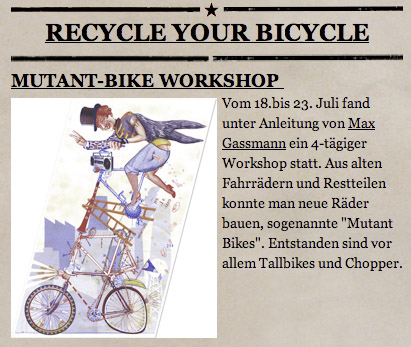 The workshop took place at The Neurotitan Gallery-Bookstore-Hinterhof in Berlin Mitte. Special thanks to Kai from the Dead Chickens for tech support. 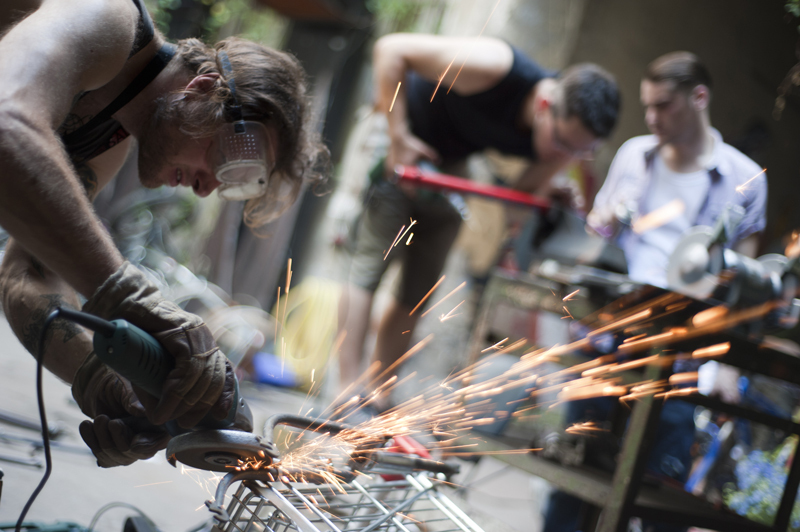 Check out flickr for more photos of the workshop and Vernissage. 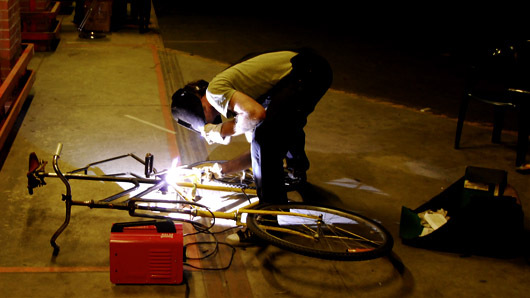 Suse Bruha from Fritz Radio also dropped in on the workshop and found a chance between our grinding and welding to talk with us about the project. 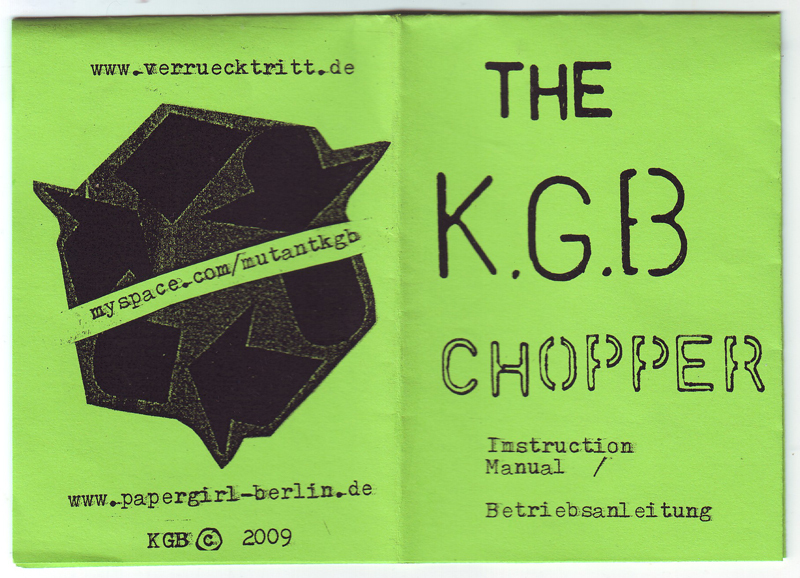 Listen to her radio reportage below or here. 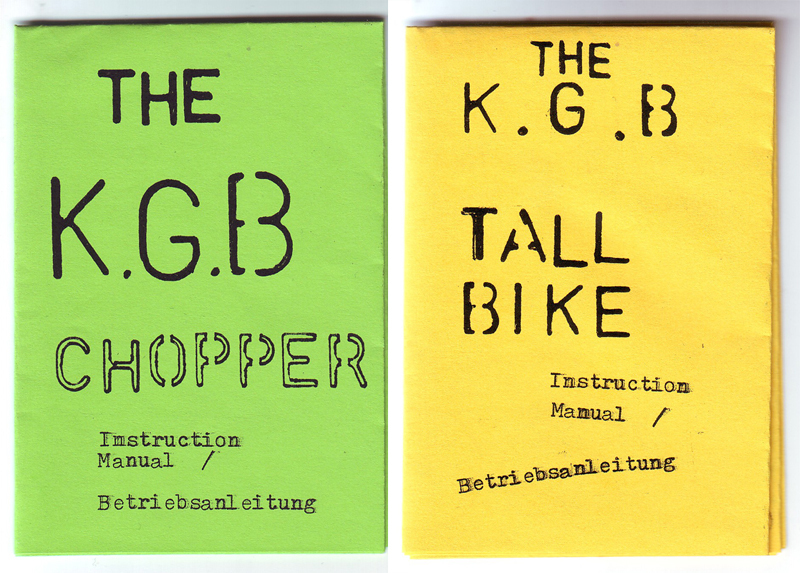 These two mutant-bike building manuals were designed and collaged by Maxfield from The K.G.B for Verrücktritt. 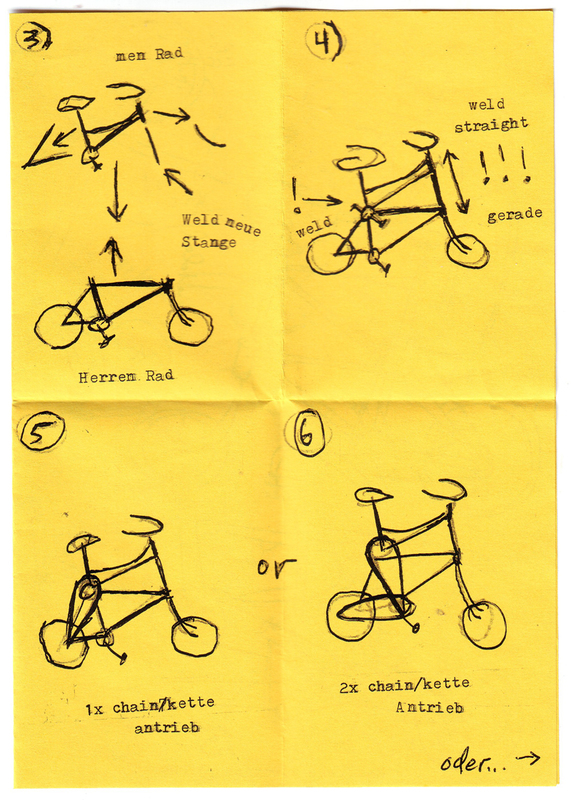 They were passed out to participants at Verruecktritt’s mutant-bike building workshops. 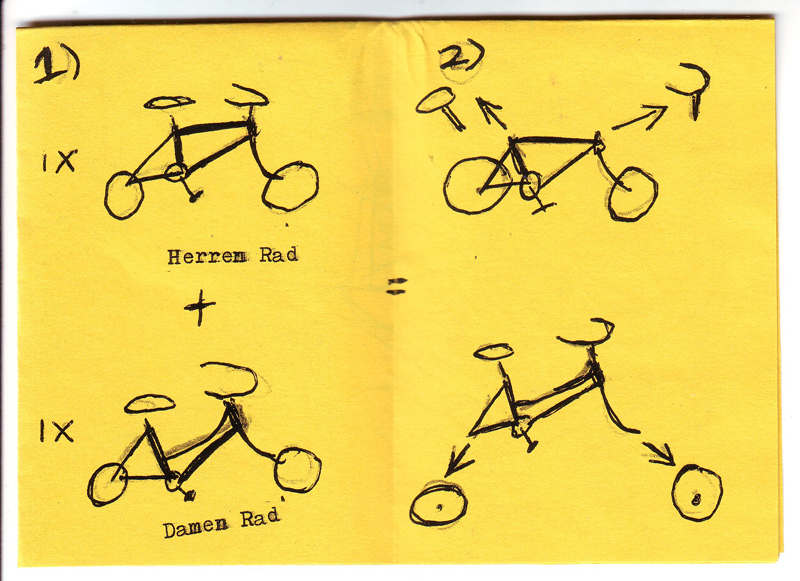 Printed on folded A4 colored paper they outline the basic concepts of two mutant-bike designs: The Chopper and The Tall Bike (though anything is possible)! 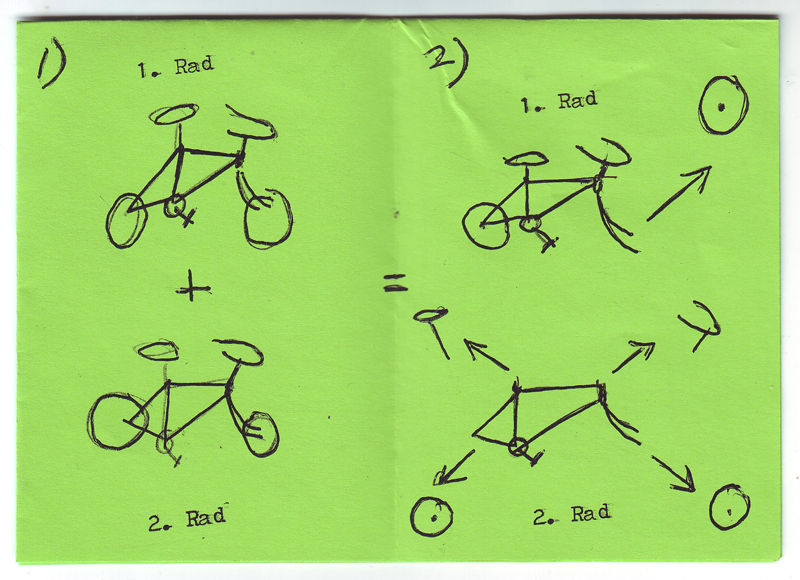 What the Hell is a Mutant-Bike?